In a nutshell, if two loudspeakers measure the same, why do people have a subjective preference for direct radiators? Seventeen years ago, I worked for one of those failing dot com companies. We didn't have any business, so I would show up to work and study patents all day long. It was a way to kill time and appear to be busy. Just sit at my desk staring at a technical doc for eight hours that looked like engineering work. That's when I started learning about horns, Tom Danley's stuff, Keele's stuff, etc. They can sound great with great recordings, but with bad recordings they sound mono. A few years back, I rented some Danley SH50s. They have a fairly flat frequency response and they're really well behaved in the phase domain. My reference speakers are Vandersteen. They have a fairly flat frequency response and they're really well behaved in the phase domain. 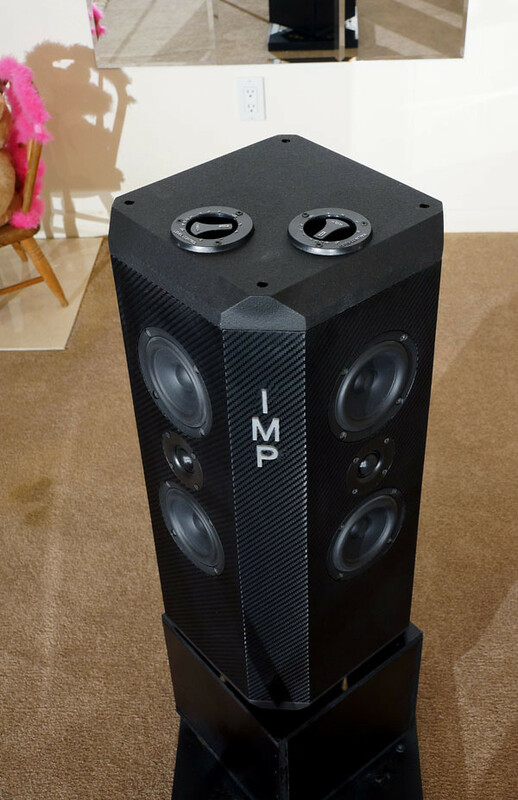 The Danley speakers cost about 20X as much as the Vandersteens. You can find the latter on Craigslist for $300, easily. On an excellent recording, the SH50s were breathtaking. For instance, you can turn the lights off and put on a track with a really great soundstage, and the SH50 is one of those speakers where the image is almost holographic. Where the center is so solid it sounds like you have a center channel, and you can almost get a sense of "front to back" depth. The dynamics are far beyond anything you would ever need in a home. The Vandersteen can't reach those highs, the stage is never as well defined and the dynamic limits are nowhere near as high. 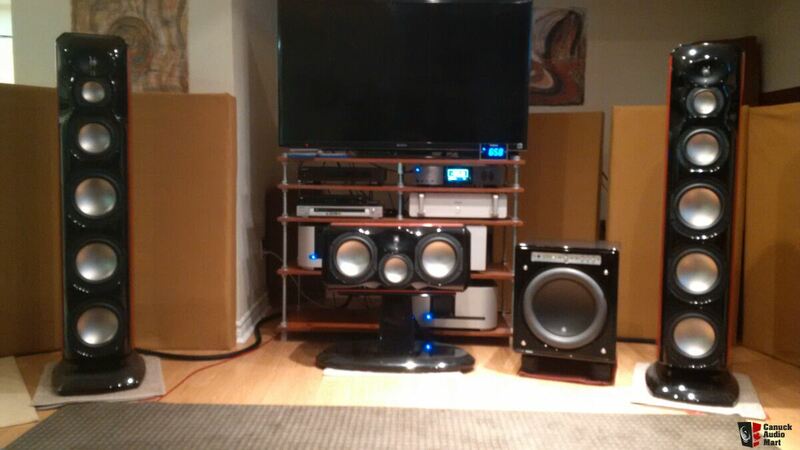 But here's the crazy part - on most recordings, the Vandersteen's image sounds bigger than the SH50. This is particularly noticeable if you listen to crummy recordings. I basically listen to podcasts, EDM, some 80s music, and some punk rock. I don't listen to jazz, or orchestral, or classical. My 'hunch' is that the much wider directivity of the Vandersteens is 'lighting up' the room in a way that the SH50s can't. Basically the Vandy's can't extract all the information in a really good recording the way that the SH50s can, but the Vandy's are also 'glossing over' the bad qualities of many recordings. There were some recordings that sounded bigger than the car itself, but there were also many recordings where it sounded like I had a mono speaker sitting in the center of my dash. It's like buying a 2160P HDTV, then realizing that a lot of your favorite movies were filmed with a potato. 1.4&quot; or 2&quot; throat large constant directivity horns you can actually buy! Or it could simply be the synergy between the amp and speakers...that can make a significant difference in what is heard. 2) I did my own dumb version of the above test. At the CES this year, I listened to the JBL 4367 back-to-back with a number of Revel speakers, including the Salon. My conclusion was that the Revel speakers have dynamics that are surprisingly competitive with the 4367, while creating a soundstage that was bigger and more diffuse. Similar to the SH50 versus Vandersteen thing, the direct radiator speaker was not as 'pinpoint' but the additional reflections in the room created a euphonic and pleasant ambience. If cost was no factor, I might consider the JBL, but the inexpensive Revel is a third of the price. 4) Bushmeister did a showdown between his direct radiators and his Synergy Horns, and the former won. Note that Bushmeister and Revel are both using a giant roundover on their cabinets - I think this plays a big role here, I'll get to that... Comparison of 'Xbush Sphere synergy horn', versus 'Balls of Prestige'. I think that most of it is room/speaker synergy. -small rooms work best with narrower directivity because most of the reflections are early and are detrimental to sound. But this is the problem by definition. Narrower directivity (90-60 deg and lower) is only doable by horns and OB. OB demands very specific positioning in rooms (almost impossible in small rooms) and horns tend to be very large to control directivity through the midrange so they don't fit in small rooms also. Comparing some (small by size) horn-loaded loudspeakers and direct radiators in a small room (25sq m or less) could be interesting and i think it would yield different results. Last edited by Zvu; 3rd December 2018 at 01:13 PM. 4) During an ABX comparison between the JBLs, the Summas, and a set of Gradient Revolutions, the JBLs came in last, the Summas second, and the Gradients were first. Are these the same Gradients? Not sure. Back when I was a bachelor, I tried my Summas all over the house. Everywhere from the living room to the TV room to the main floor. At one point I had a crazy looking set up, where these giant loudspeakers were about three feet from my head. Similar to this. Looks silly, images great. 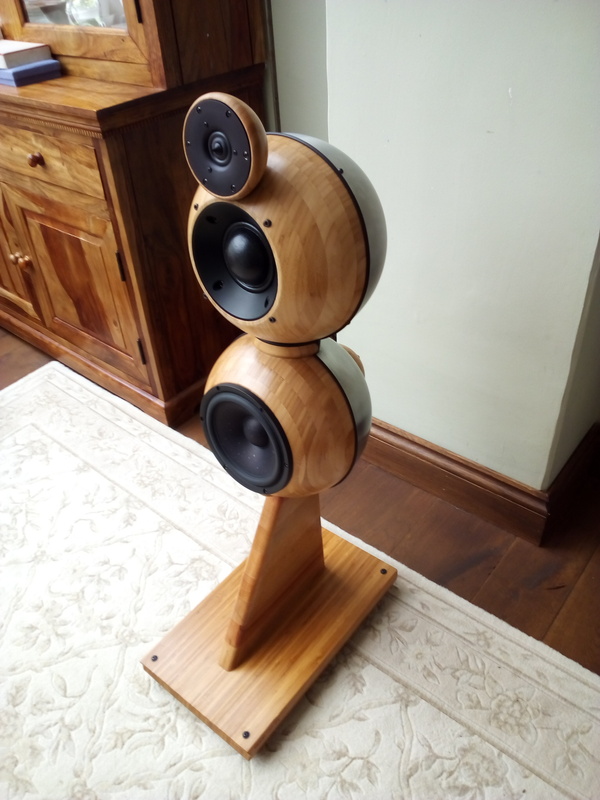 When I put the speakers in the main room, with a much longer distance from listener to speaker, the treble would sound "smoother" but the imaging would suffer. Obviously, all of this is subjective, but to me the Vandersteens sound more "euphonic" when listened to at a distance. There's additional ambience that seems to be generated by the much wider directivity. It would be an interesting test to copy the directivity of a waveguide speaker system using direct radiators to see if they become subjectively very similar at that point. If someone wanted to pick something (A summa?) and commit to building a variant, I could help in the design process of that variant. My only experience with wide and narrow dispersion, yes I am recklessly assuming here a similarity between direct and guided, is with large single panel planers vs multi driver ribbon /planer and ribbon / piston systems. IMO the wide dispersion stuff always sounds, well, more "pleasant", less irritating in any major way. The narrower dispersion stuff can often sound more present, more dynamic, and image solidity can be outstanding, BUT over time I find I miss the sound of wider dispersion.